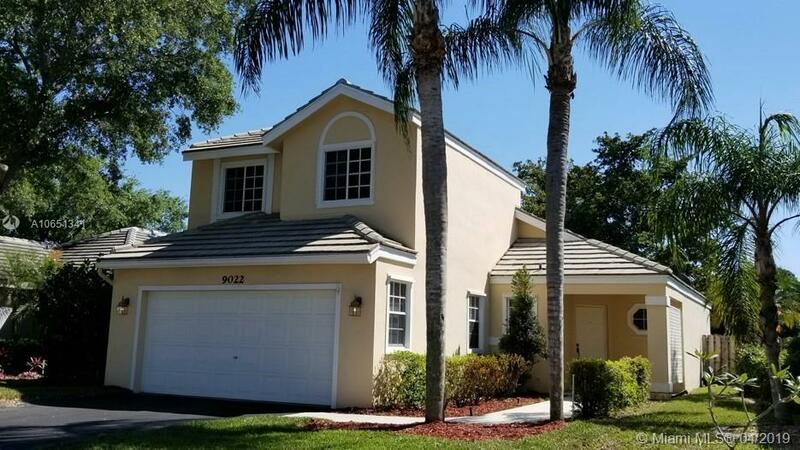 Immaculate, turnkey 3 bedroom, 2 1/2 bath home in highly desirable Forest Ridge. Custom gourmet kitchen w/solid maple cabinets & new stainless steel appliances. Beautifully updated bathrooms, with oversized soaking tub in Master Bath. Decorator lights and fan fixtures. Master Suite on 1st floor. Large 2nd and 3rd bedrooms on 2nd floor. Newer A/C. Garden patio with domed screen. 2 car garage. Neighborhood pool steps from the home. Community Tennis Courts. 'A' School District.